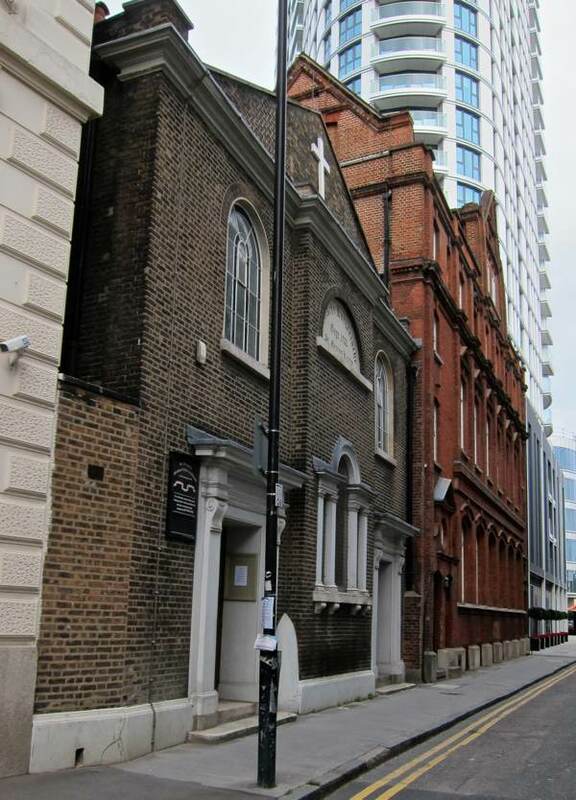 In Aldgate, caught between the thunder of the traffic down Leman St and the roar of the construction on Goodman’s Fields sits a modest church with an unremarkable exterior. 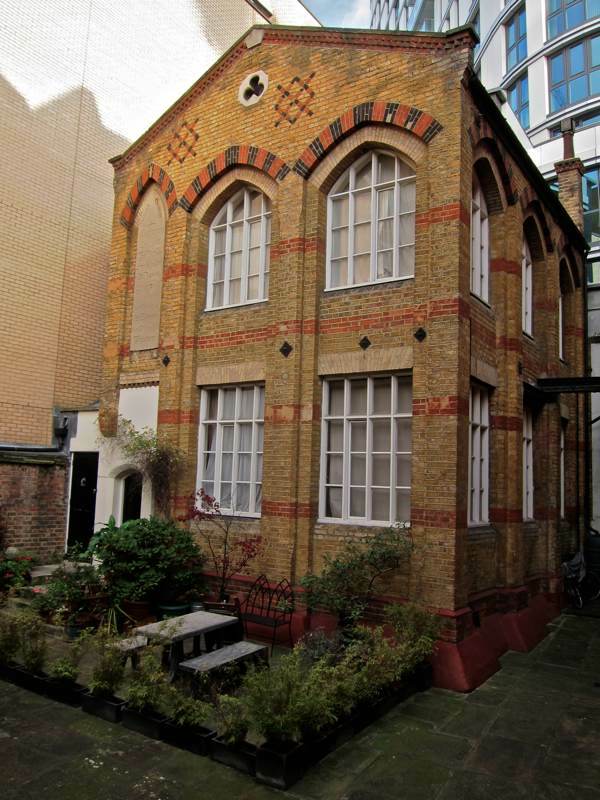 Yet this quiet building contains an important story, the forgotten history of the German people in the East End. 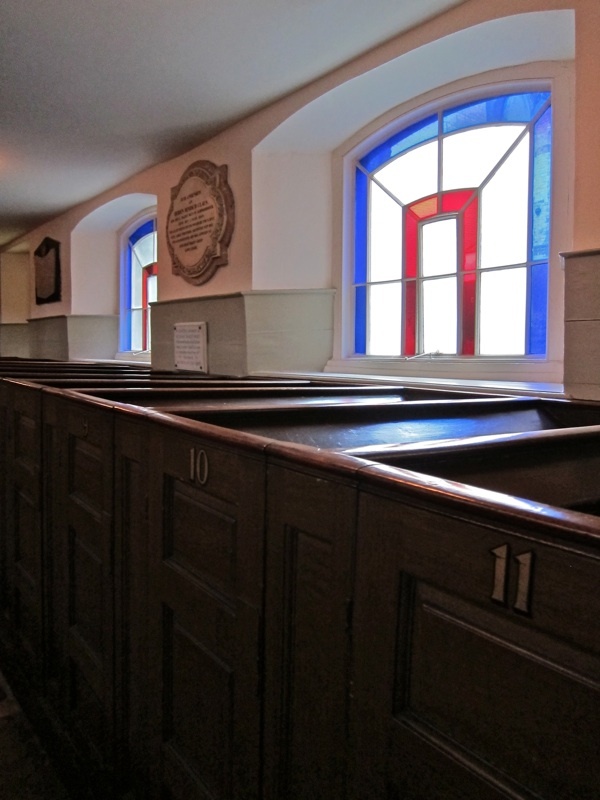 Dating from 1762, St George’s German Lutheran Church is Britain’s oldest surviving German church and once you step through the door, you find yourself in a peaceful space with a distinctive aesthetic and character that is unlike any other in London. 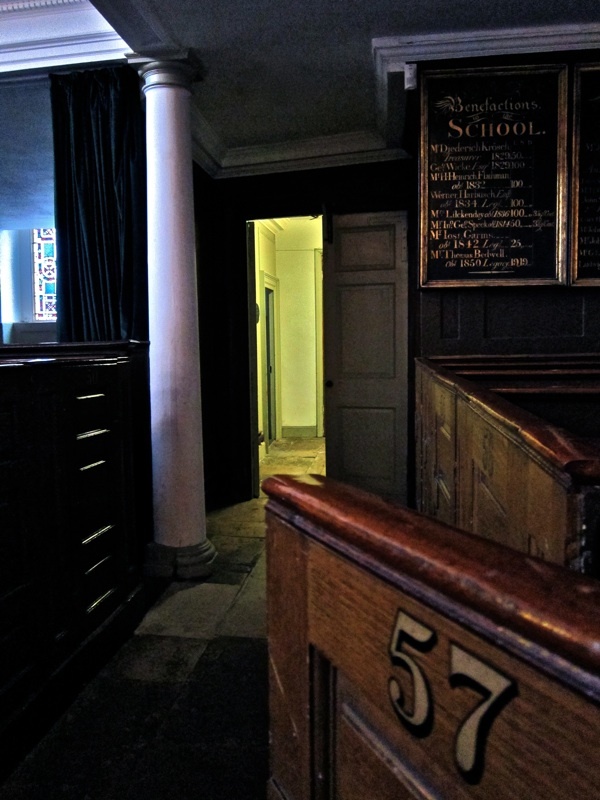 The austere lines of the interior emphasise the elegant, rather squat proportion of the architecture and the strong geometry of the box pews and galleries is ameliorated by unexpected curves and fine details. In fact, architect Joel Johnson was a carpenter by trade which may account for the domestic scale and the visual dominance of the intricately conceived internal wooden structure. 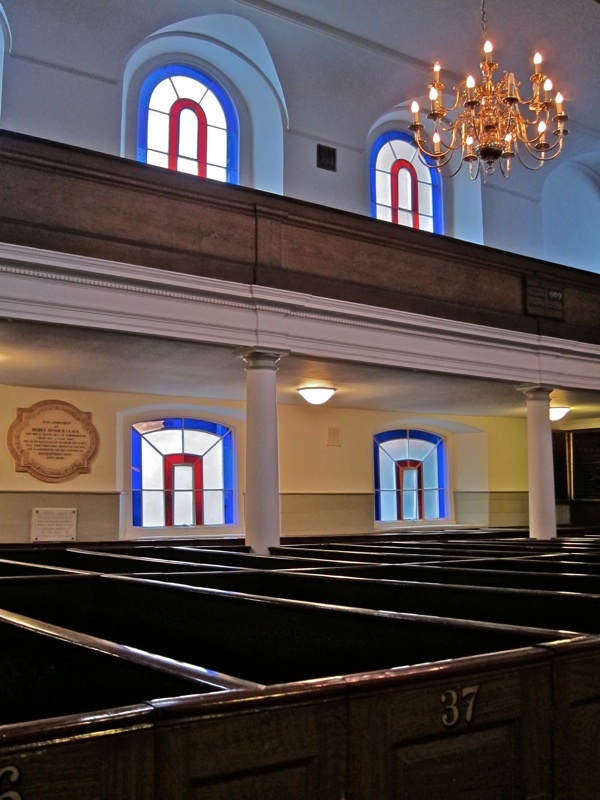 Later iron windows of 1812, with their original glass in primary tones of red and blue, bring a surprising sense of modernity to the church and, even on a December afternoon, succeed in dispelling the gathering gloom. 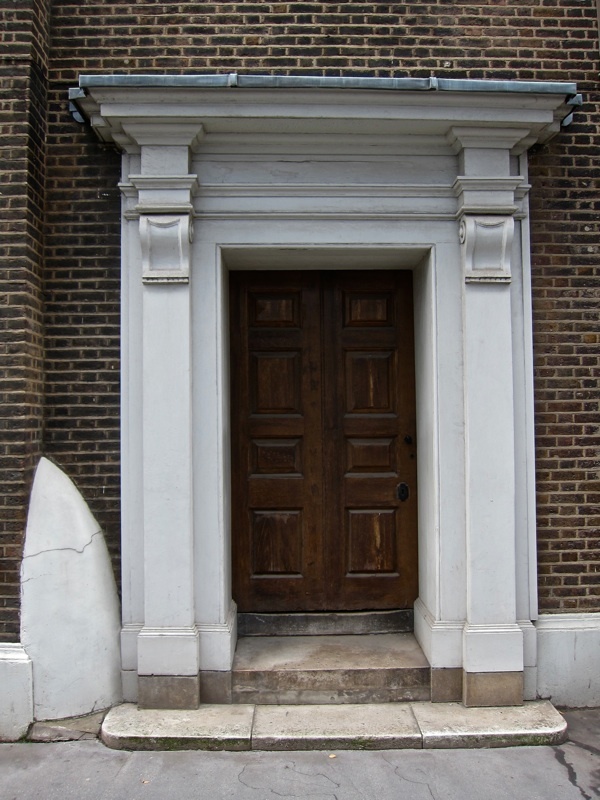 This was once the heart of London’s sugar-baking industry and, from the mid-seventeenth century onwards, Germans brought their particular expertise to this volatile and dangerous trade, which required heating vast pans of sugar with an alarming tendency to combust or even explode. Such was the heat and sticky atmosphere that sugar-bakers worked naked, thus avoiding getting their clothes stuck to their bodies and, no doubt, experiencing the epilatory qualities of sugar. 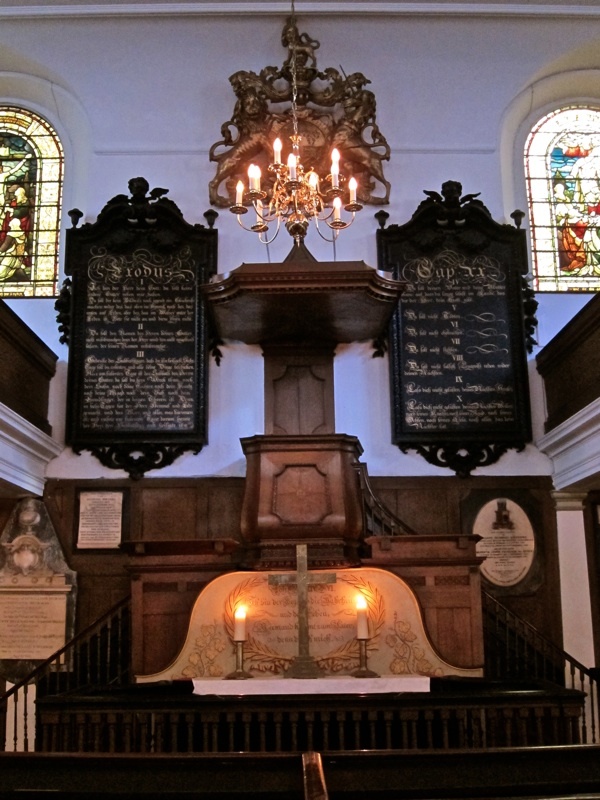 Reflecting tensions in common with other immigrant communities through the centuries, there was discord over the issue of whether English or the language of the homeland should be spoken in church and, by implication, whether integration or separatism was preferable – this controversy led to a riot in the church on December 3rd 1767. Today the church feels like an empty theatre, maintained in good order as if the audience had just left. Even as late as 1855, the Vestry record reported that “the Elders and Wardens of the Church consist almost exclusively of the Boilers, Engineers and superior workers in the Sugar Refineries,” yet by the eighteen-eighties the number of refineries in the vicinity had dwindled from thirty to three and the surrounding streets had descended into poverty. 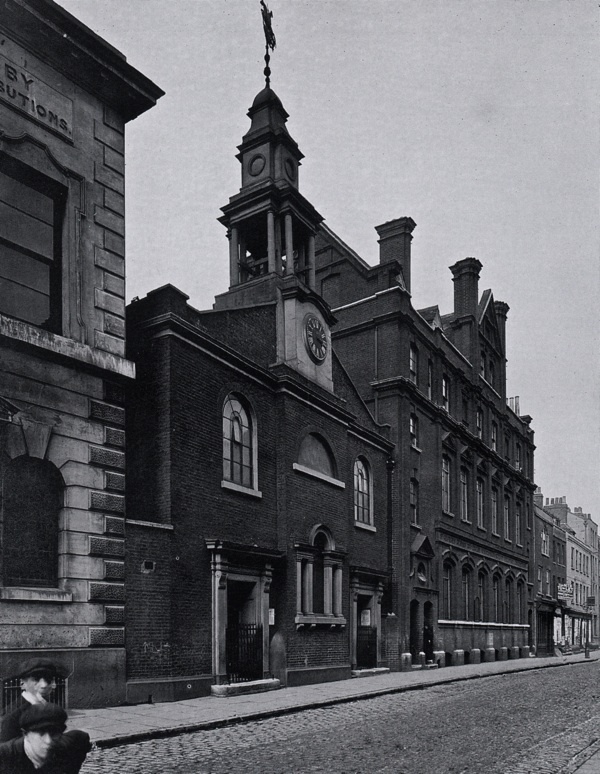 Even up to 1914, at one hundred and thirty souls, St Georges had the largest German congregation in Britain. But the outbreak of the First World War led to the internment of the male parishioners and the expulsion of the females – many of whom spoke only English and thought of themselves as British. 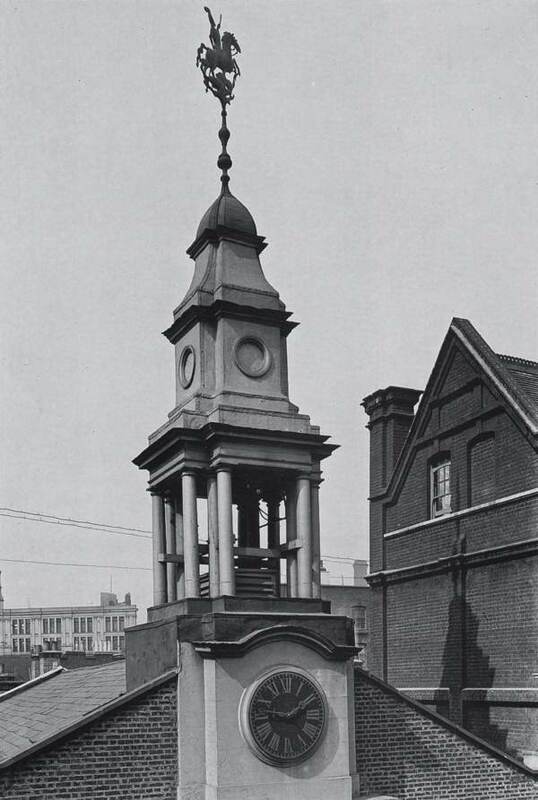 In the thirties, the bell tower was demolished upon the instructions of the District Surveyor, thus robbing the facade of its most distinctive feature. 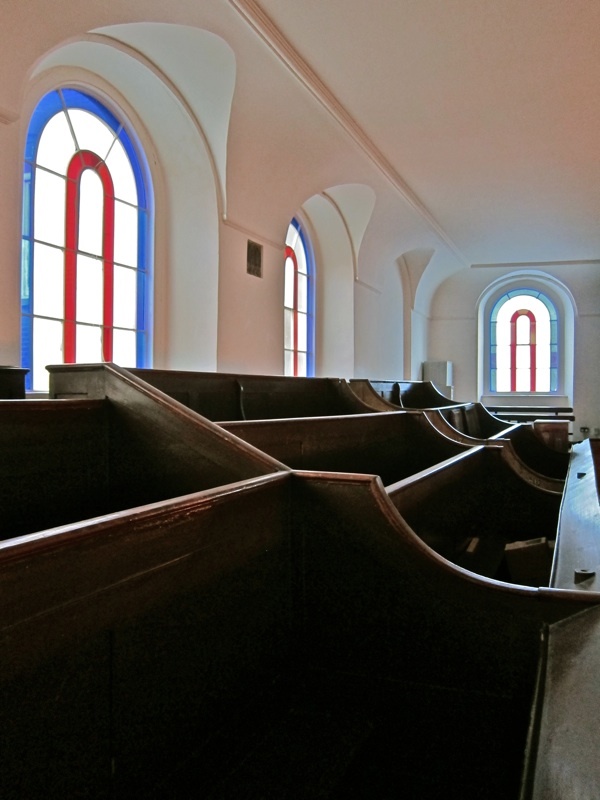 Pastor Julius Reiger, an associate of Dietrich Bonhoeffer, a leading opponent of the Nazis, turned the church into a relief centre offering shelter for German and Jewish refugees during World War II, and the congregation continued until 1996 when there only twenty left. 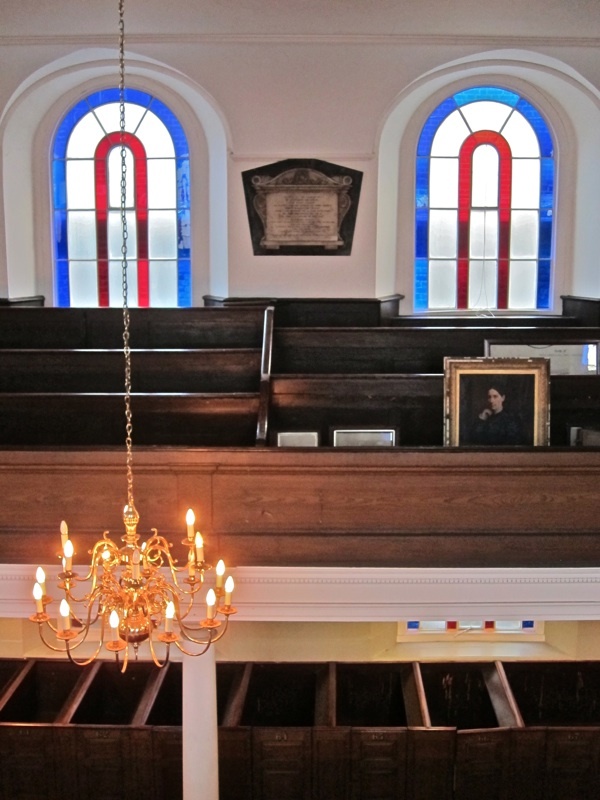 St George’s is now under the care of the Historic Chapels Trust and opens regularly for concerts and lectures, standing in perpetuity as a remembrance of more than two centuries of the East End’s lost German community. 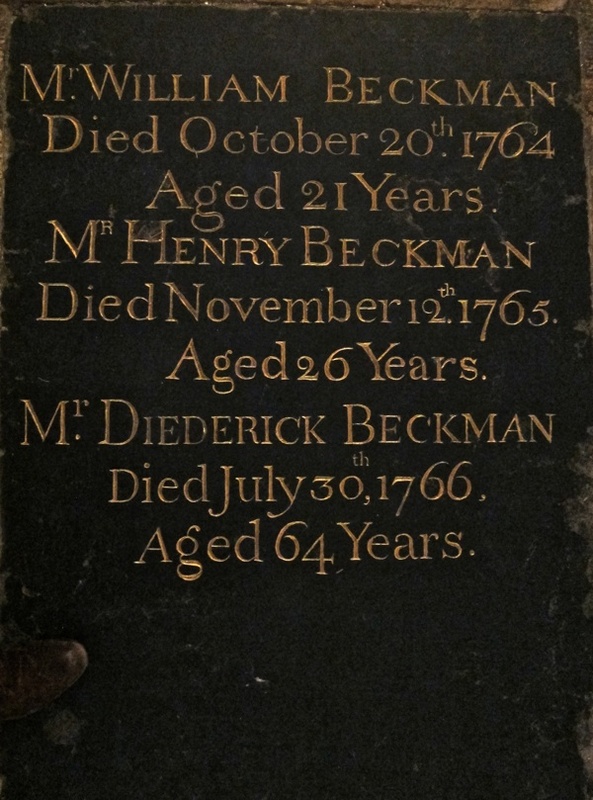 The principal founder of the church Diederick Beckman was a wealthy sugar refiner. 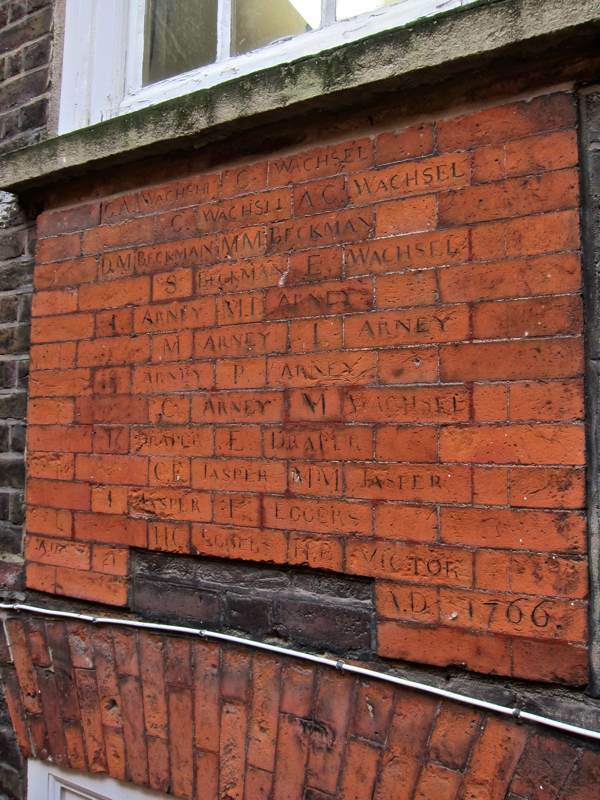 Names of benefactors carved into bricks above the vestry entrance. Ooh 250 year old lino! Amazing. umbra sumus, even the naked sugar bakers. A beautiful reminder of the German community. Never seen such a special atmosphere with blue and red windows before. My 3x great grandfather was Friedrich Happe a sugar boiler from Kassel in Germany. 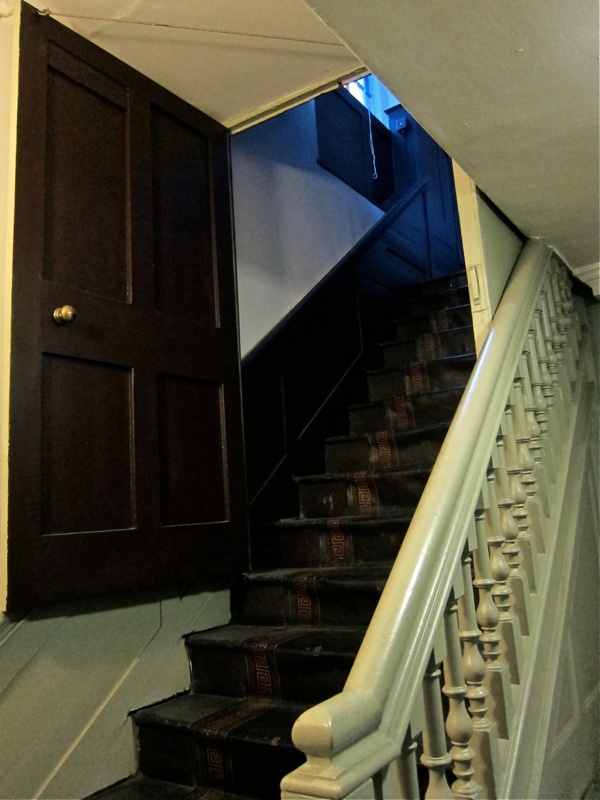 He lived in Denmark Street in the area then known as German Town due to the large number of Germans who lived there. 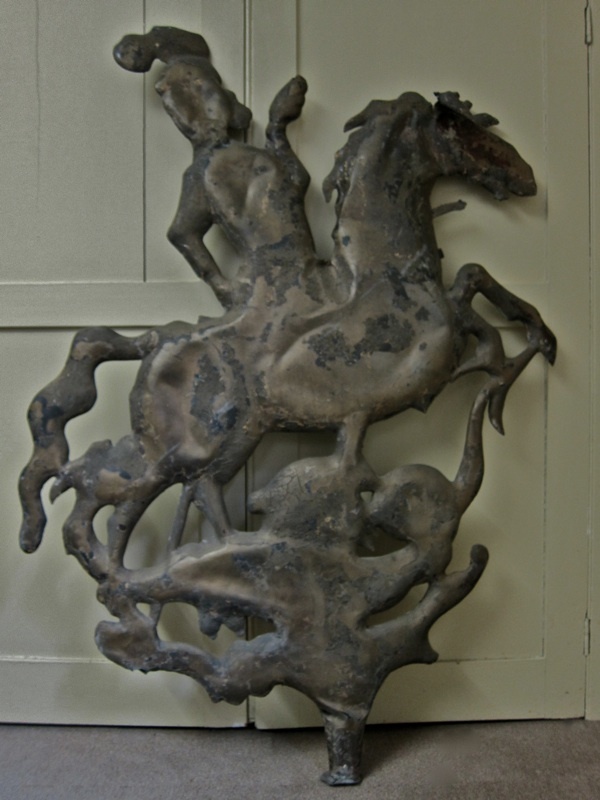 Once again, a very interesting article with beautiful images. Thank you, Gentle Author. We went there last week for the West Gallery Christmas Concert. It was delightful listening to carols that stir the soul rather than send you to sleep! Highly recommended if you’re in the area next year. The write up and the photos are really nice. It was a joy to look at them. I conduct London Gallery Quire, which gives the above-mentioned concert of West Gallery carols. This annual event is our favourite, because we get such a warm welcome and a large audience. And we rather like Gluehwein and Stollen. What a touching tour you provide of the church where one of the immigrant parishioners, Adam Schaaf, was baptised in 1849. His surviving brothers were also baptized there. All four later went to Chicago, where Adam established Adam Schaaf Pianos–we own two–and his wealthy family. I just returned from our National Archives in Fort Worth, where I accessed many of their hand-scriptedfamily records from this church and the London civil registers. I was intrigued to read all about this lovely church. I come from New Zealand but my great great great grandfather was Georg Conradt Strobel from Anspach in Bavaria. I wonder if he attended this church. Some research is in the offing and it will definitely be on my list of places for the next trip to UK. My thanks and appreciation for an excellent article. My family too, were immigrants from Hannover who came to work and live in this area, initially in a Sugarhouse in Lambeth Street and then running Pubs at various locations in The East End. 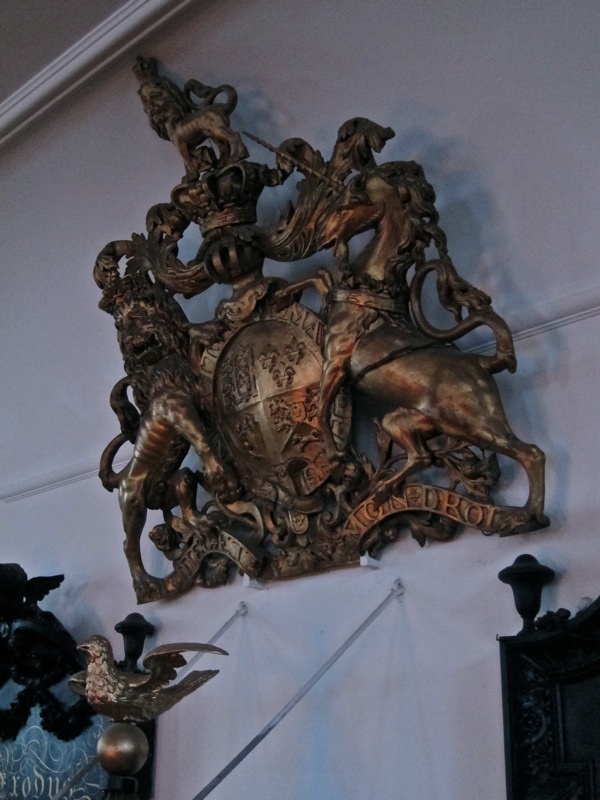 A number of my relatives were baptised at St George’s Chapel. I went to this church when visiting from New Zealand where I now live. It is a wonderful place and very poignant to me as my grandfather William Strack and his 11 siblings were all baptised there. I could imagine them all sitting in a pew. My great grandfather was Johannes Strack and he was from Prussia and was a skin dyer. My great great grandparents married in this church on 25th Dec 1866 having arrived from Germany in 1852 and1853 the married name was lieberman. Thank you for the beautiful photos. My 2x great grandparents were married in this church, and these are by far the best photos I have been able to find. My great grandparents were married in this church in 1889 after leaving Germany.They were Clemens Rast and Charlotte Hahn.It is a strange feeling when you look at the church photos and imagine them there,sadly I have no photos of them.The surname apparently took the English equivalent. So pleased to see these beautiful photos and wonder if any of the Wellbrocks attended this church. My husbands Great Grandfather Martin Wellbrock (Welbrok) was born in London and arrived in New Zealand in 1872, age 19. He was listed as a sugar baker. 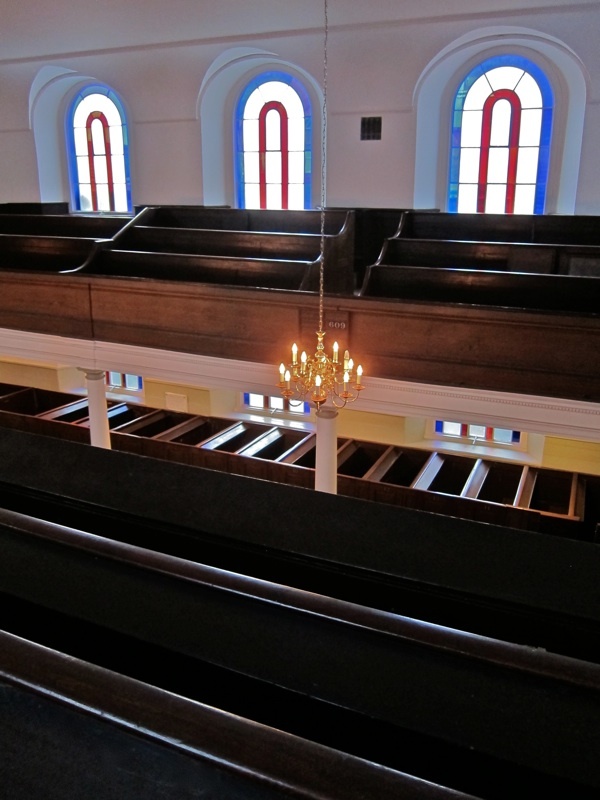 During 1960s the church was used as base for the German Seamen’s Mission. 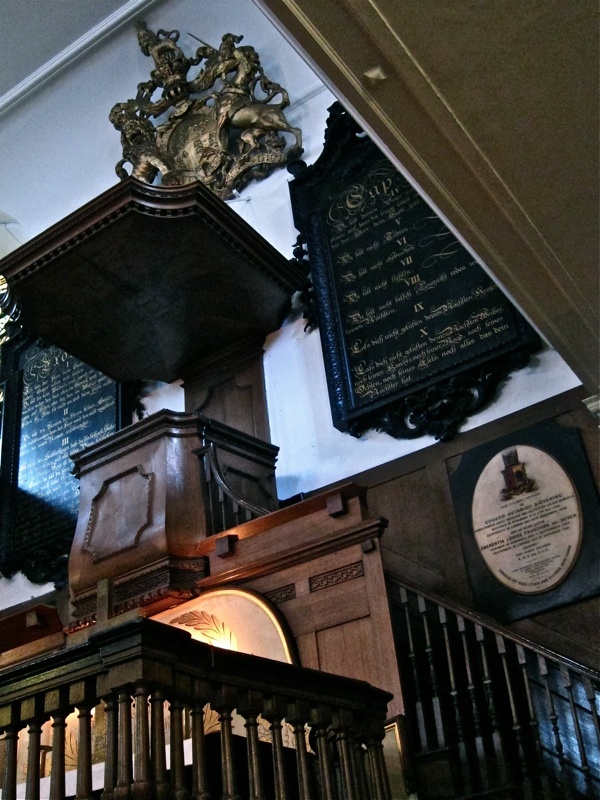 I’m pretty sure that the church came within responsibility of the Pastor at the Dietrich Bonnhöffer Church betwixt Sydenham and Forest Hill, with services conducted on a rota basis; sometimes led by lay-preachers since the Sydenham Pastor had widest responsibilities for other locations and was thus subject to clash. Herr Wolkenhaar (Mission-head) lived on-site with his family; he would look-up shipping movements in The Port of London and then travel to visit German flagged shipping and any other potential locations for German seamen. 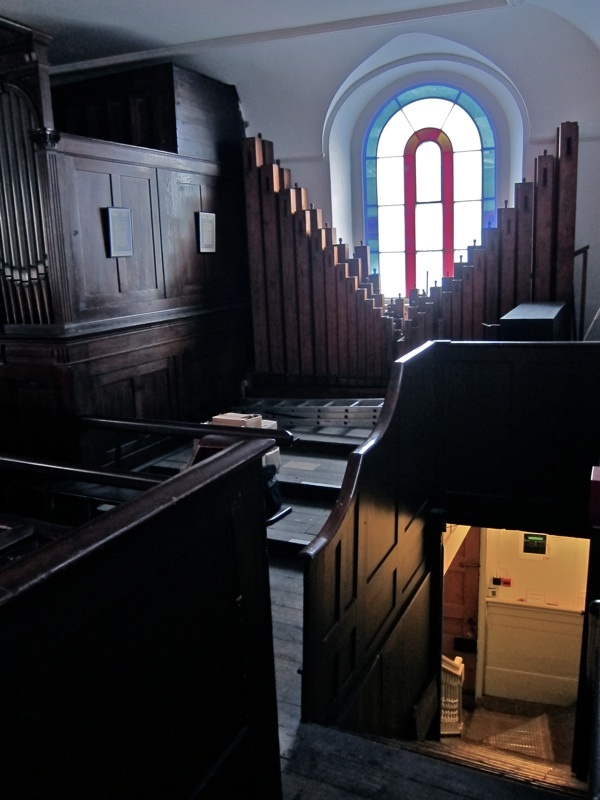 I once travelled with him, on back of his Vespa scooter, as a 12-yr old boy; for me just a wholly interesting experience to visit the docks, ships and this church with its peculiar (for me) pews-in-boxes. I’m really glad to discover the church has been taken into good custody by the HCT; well-done !